NdFeB Pot Magnets are best for small sized magnetic products with maximum pull strength (ideally when in direct contact with ferromagnetic e.g. mild steel surfaces). The actual pull force achieved is dependent on the surface that is being clamped onto (material type, thickness, flatness, friction levels, etc), its quality (e.g. rust free), its size (thickness plus total surface area), etc. We offer Pot Magnets in a silver (chrome, zinc or nickel) finish, a white paint finish, a red paint finish, black rubber coated finish and ferritic stainless steel finish, etc. 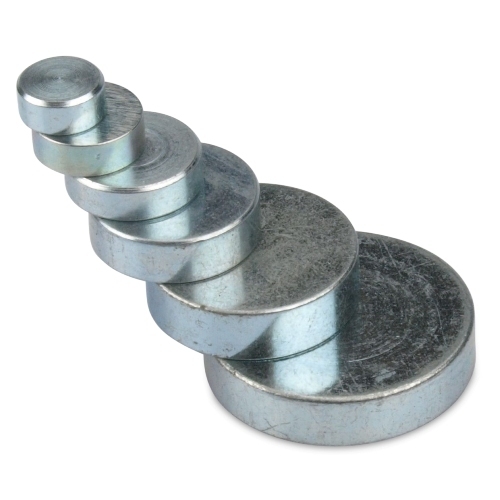 There are many applications for Neodymium Pot Magnets, mainly in applications where a strong clamping force is required. Applications include Point of Sale, window dressing, door / cupboard and gate clamps, false ceiling clamps, signs and banners, torque limited seals, jigs and fixtures, lighting holders, marketing and exhibition displays, retrieval magnets, industrial fixings, etc. Neodymium Pot Magnets. Widely used in assorb! The following items are the relative products of the NdFeB Pot Magnets, you can quickly find the NdFeB Pot Magnets through the list. Are often used as tools for various activities in workshops and in industry. They can be used for holding workpieces whilst welding, cutting, milling or drilling etc. Because of the lack of moving parts and the robust construction of pot magnets, the life is unlimited and no maintenance is required. Just keeping the pole surface clean guarantee reliable operation and a long life.